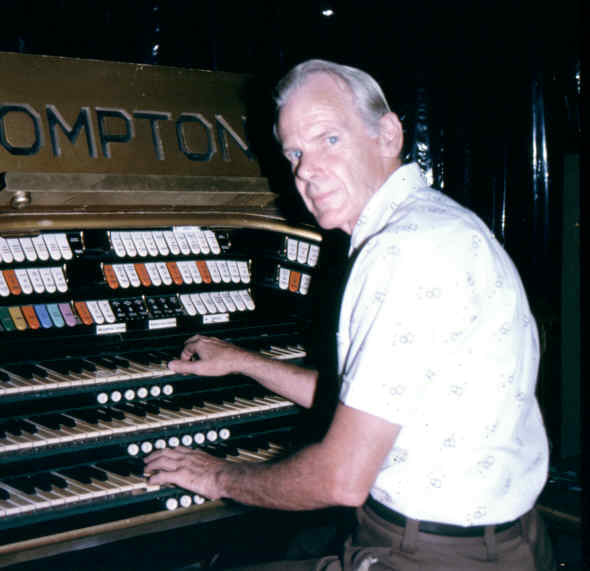 In 1971, Blair Linnett, who lives in the Brisbane suburb of Oxley imported from England the organ built by the John Compton Organ Company of London for the Regal Theatre, Chester, England as their Opus A412. 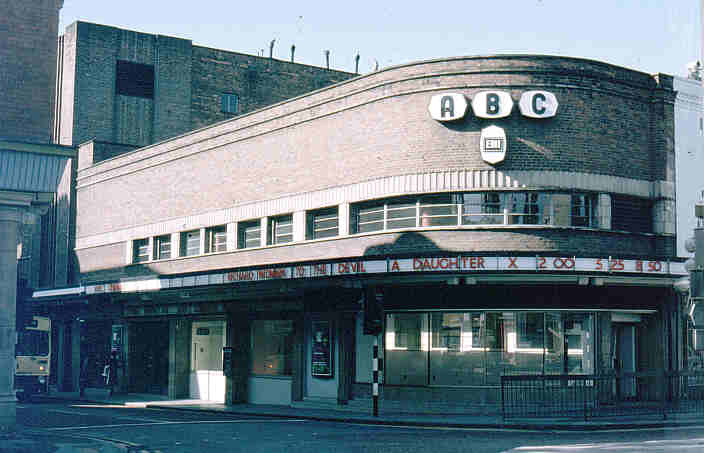 The Regal's was one of quite several very similar organs built for Associated British Cinemas (ABC), which controlled a large circuit of cinemas throughout Britain. It comprised six ranks of pipes, with a three-manual console fitted with curved opalescent glass side and top panels which were illuminated from within by multi-coloured lights, perhaps the nadir of decadent vulgarity. 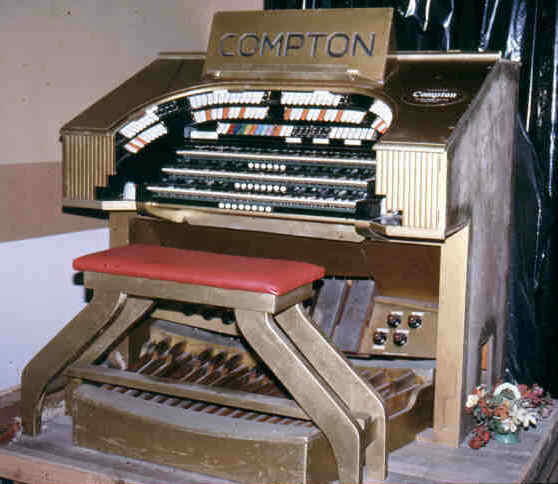 The organ's six pipe ranks were supplemented by an electrophonic attachment known as a "Melotone" unit, which emitted through a large horn-type loudspeaker sounds generated by rotating discs through an electro-static process. The organ was opened in 1937 by Wilfred Southworth, and was played by ABC's team of touring organists until the 1950s. 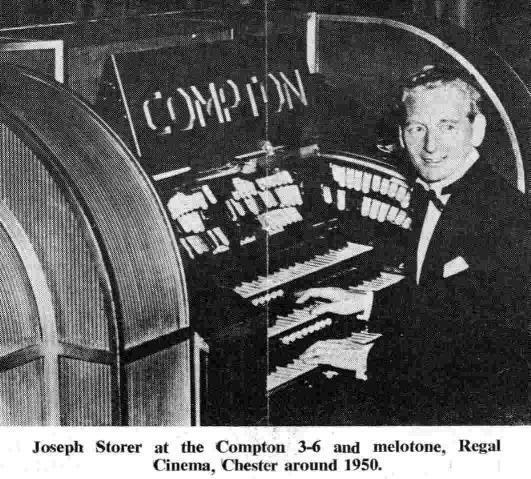 The organist most associated with this instrument was Joseph Storer, who broadcast it. Its sound in its original location can be heard on part of an LP recording issued in the late 1970s, of archive tapes made by organist Frank Gordon ("Cinema Organ Encores, Vol. 91", Deroy Records, England). The instrument was very typical of its make and vintage, being designed to be played for short solo interludes of perhaps twenty minutes. As these performances often culminated in community singing, a powerful Tuba rank was essential. The ranks are: Tuba, Muted Trumpet and metal Tibia (solo chamber), Diapason, Viola and Flute (main chamber), plus tonal and non-tonal percussions and effects. Marimba, Vibra-phone and Chimes were generated by the Melotone unit. The organ illustrates the development of the theatre organ into a punchy, dance-band-style instrument, with a high degree of unification, and yet different "chorus" build-ups on each manual. This can be seen in the derivation of the upperwork on each manual. On the Accompaniment, this is characterised by the 2-ft. Violetta. On the Great, there is also a Tierce and Quartane (19, 22), derived from the Flute. The Solo stops are taken entirely from the solo chamber, with the upperwork derived from the Tibia. This is entirely consistent with Compton's aim, even on the smallest organs, of providing some degree of tonal variety between the manual choruses. Although the organ has only six ranks, two of these are extended to full 16-ft. compass, providing a very solid bass. The 32-ft. Acoustic Bass is another Compton speciality. This is not, like so many of its ilk, a mere 16 + 10 2/3-ft. combination from the Tibia, but in its bottom octave it plays a chord of four harmonics, and, when used with full pedal, provides with uncanny realism the effect of a 32-ft. reed. From Tenor C upwards, the Acoustic Bass sounds the 16-ft. Tuba an octave lower. 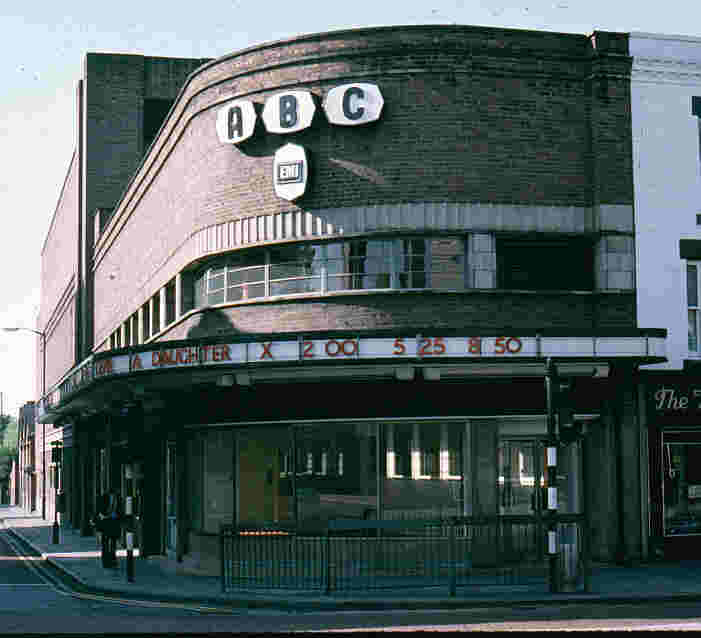 The instrument became surplus to ABC's requirements in 1969, and was sold to, and removed by, British organ-builder Ron Curtis, of Bolton, Lancashire, who placed it into store in company with several other organs he purchased at that time. He sold it to Mr Blair Linnett, and it was shipped to Australia, without the console illuminations and the Melotone unit, where it arrived in December, 1971. It was otherwise complete, except for one treble string pipe, for which, by lucky chance, I was able to provide an exact replacement from my collection of small theatre organ relics. Blair extended his garage to form a studio auditorium of some 20,000 cubic feet, with a maximum ceiling height of eighteen feet. He installed the organ at one end of the studio, with the two chambers side by side and the console, with new wooden sides and a bench which he constructed, on a rostrum to the left. It took Blair some ten years to reconstruct the organ, as he wished to keep the installation a family project. 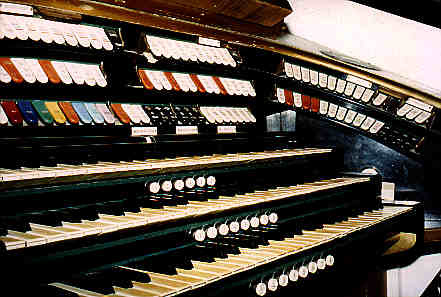 The last pipe was set in place a few weeks before the formal opening of the organ, on Easter Sunday, 1981, as part of a TOSA convention, with Arthur Midgley at the console. 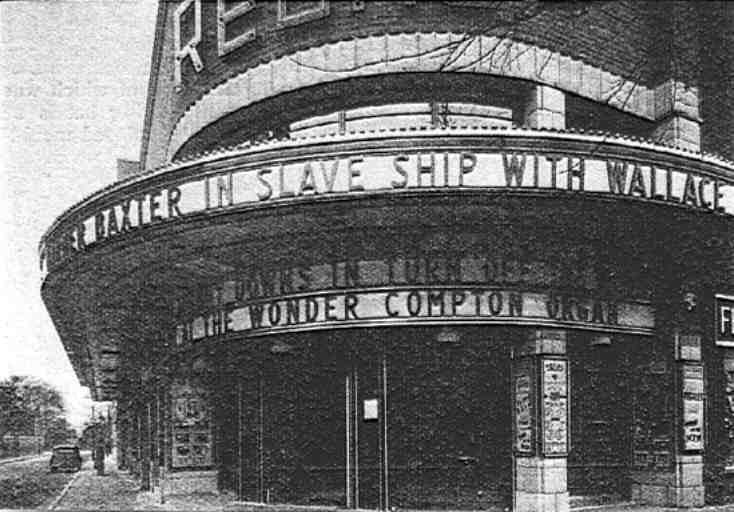 Since then, Blair has wired in an unenclosed 18-note set of Wurlitzer Cathedral Chimes, purchased from America, and has acquired a wooden Tibia Clausa and a Vox Humana from Kimball organs in South Bend, Indiana, and the State Lake Theatre, Chicago, respectively, for addition to the organ. 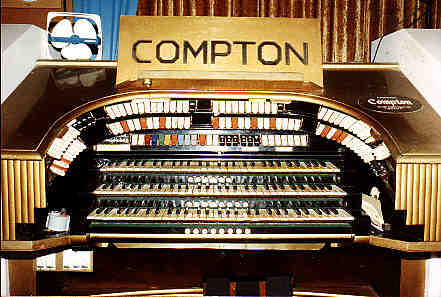 He has also connected a Conn electronic organ controlled from the old Melotone stopkeys. 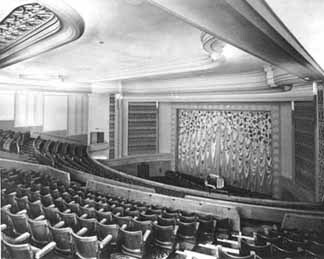 An interesting link with Brisbane's earlier theatre organ history is maintained, as Blair has fitted out his studio with some seats and several fittings from the old Wintergarden Theatre. To visit Blair and to hear and play his Compton is thus an interesting and very pleasurable experience.